When it comes to car colours, are things really that black and white? Like any fashion gimmick, trends in car colours change as frequently as the seasons. There’s little doubt however, that some hues have managed to span the years better than others. Black and white for example, remain the UK’s most popular shades for new cars, with a market share of around 20% each. 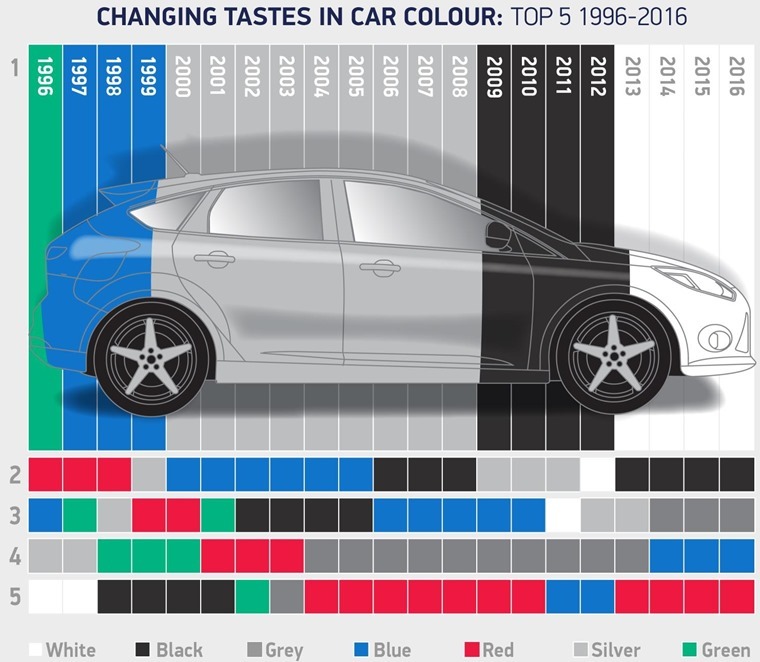 But thanks to new data from the Society of Motor Manufacturers and Traders (SMMT), we’re able to see which colours were the most popular not just in 2016, but over the last 20 years too. 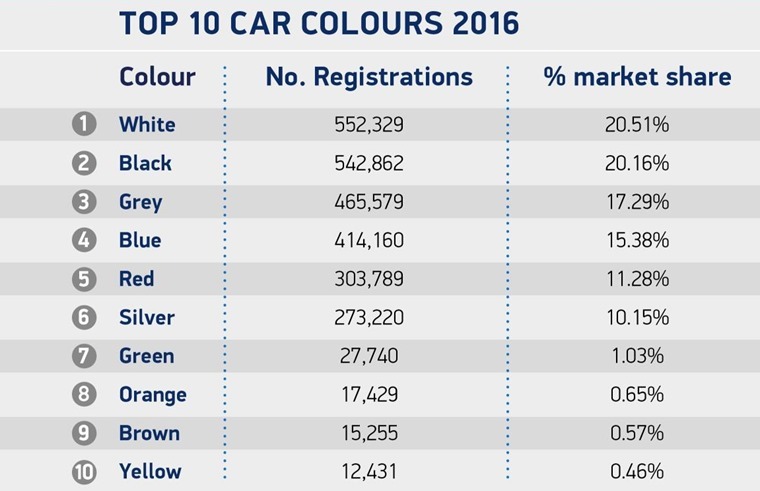 White maintained its position as the UK’s most popular new car colour for the fourth year in a row in 2016, with 552,329 plumping for that colour last year – that accounts for a fifth of all registrations. However, figures show its popularity is starting to fade somewhat, with demand falling by -2.1% – the first drop since 2006. This means black is catching up, with 542,862 cars registered in that hue last year. In fact, while white remained the most popular colours in Wales, Scotland and Northern Ireland, it was black that took the crown in England. The top ten might be pretty predictable, but the SMMT also provided data for less popular colours. Pink for example, might still be a little niche with just 3,527 people opting for the Barbie Mobile look last year, but that represents a year-on-year increase of a huge 82.7%. 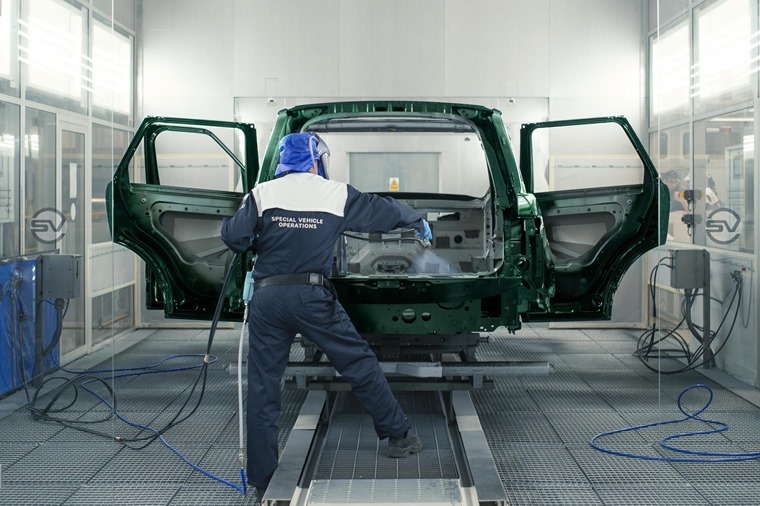 Elsewhere, demand for bronze-coloured cars rose 44%, while turquoise also proved a popular hit, with registrations up from 792 in 2015, to 2,718 in 2016. Silver declined the most in 2016, falling by 22,209 to 273,220 registrations. Back in the heady days of 2004, 843,870 silver cars were registered. We’ll have to wait and see if this drops further, but it looks like silver has fallen out of favour for many. Other big drops included beige, with less than 10,000 cars being graced with it last year. It would also appear brown’s renaissance is on the way our, with demand down 40.1%. If that continues, it won’t be a feature of the top ten board for much longer. How have colour trends changed?